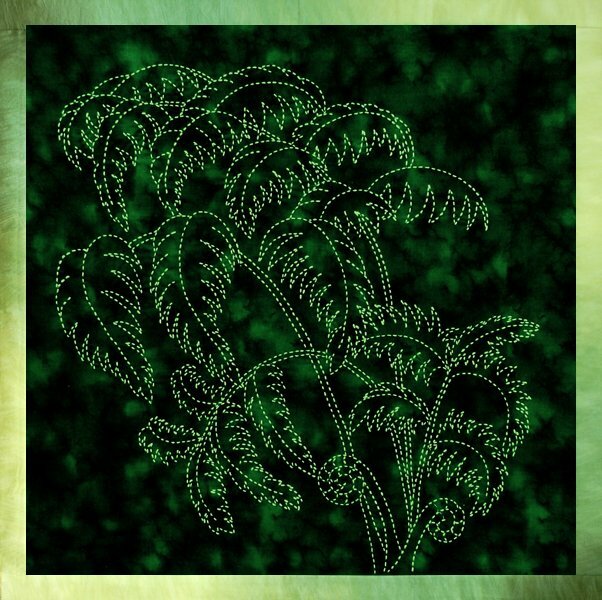 16" x 16" Tree Fern Sashiko Panel pre-screened on Moda Marbles cotton by Sylvia Pippen Designs. Saves transfer step�just stitch over the dashed lines. Includes sashiko instructions.